Petrolimex chairman: "Petrolimex will reform strongly to become large-scale energy group"
Petrolimex chairman Pham Van Thanh: "We want Petrolimex to soon become a large-scale energy group in the future"
"Petrolimex has made changes in both quality and quantity"
Over the past years, Petrolimex has been one of few State-owned economic groups that successfully transformed its business model to become a public company with modern management and effective production and business activities. On the occasion of the New Year, could you please talk about the Group’s successes? - The Vietnam National Petroleum Group (Petrolimex) completed its equitisation and transformed its business model into a joint stock company in 2011 and officially registered as a public company in 2012. However, following the introduction of Decree No 83/2014/NĐ-CP on petroleum business, in the last three years, with the drastic and centralised direction of the Government, and the flexible management on petroleum policy according to the market mechanism by the Ministry of Industry Trade and related ministries and sectors, together with good governance and effective business operations by the enterprise, the Group has made changes in both quality and quantity in a much more positive way. The average profit rate in recent years has always reached over 40 per cent/ charter capital, the minimum dividend payment rate of 30 per cent/ year, and the market capitalisation of Petrolimex has increased about five times as compared to the time of equitisation. In 2016, the Group completed the sale of 8 per cent of shares to foreign strategic partner, JXTG Nippon Oil & Energy Corporation - the No 1 energy group in Japan. That foreign strategic partners join the Group’s Board of Management and contribute practical opinions and actions has helped change Petrolimex’s ideology of management as well as corporate governance in a professional and transparent manner, satisfying international standards. 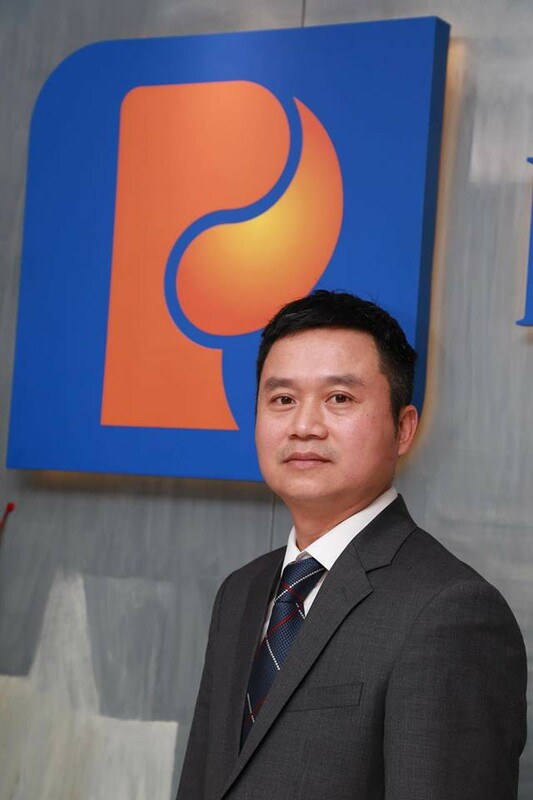 The year 2017 also marked a new transformation of Petrolimex when the Group was officially listed on the Ho Chi Minh City Stock Exchange (HOSE) under the ticker symbol of PLX and became one of enterprises with largest market capitalisation; and was listed by HOSE in the VN30 Index which includes large enterprises - backbone of the economy. In the two years of 2017 and 2018, Petrolimex was honoured among the "50 best-listed Vietnamese companies” by Forbes; ranked first in terms of revenue on the stock market with a turnover of nearly US$7 billion/ year, making it into the list of “40 most valuable brand names in Việt Nam". In 2018, the Group completed the restructuring of the whole Group in accordance with the Prime Minister’s Decision 828/QĐ-TTg. Accordingly, besides its major petroleum business, the Group restructured the organisational structure and operating mechanisms and formed six corporations specialising in business lines related to petroleum business activities such as transportation, petrochemical, gas, services, construction and trade. The restructured corporations have basically operated more effectively with profit and growth rate higher than the previous period. In the next stage of development, how will Petrolimex reform itself to reach a higher level of development? - Well aware of new changes in the current business environment as well as in the coming time, the Group is reinforcing the organisational structure of the Parent Company, restructuring certain divisions and departments to form the new Risk Management Board and Retail Sales Department to minimise business risks and improve efficiency in increasing profits. Additionally, we will focus on furthering the development of petroleum retail business, improving service quality, developing value-added services at petrol stations (including convenience stores, automobile repair shops, etc.) to bring in other profit sources other than petroleum. This business segment, based on the real-life experience in Japan from the strategic partner JXTG, is expected to help increase profit markedly if well-developed, accounting for about 50 per cent of petrol stations’ profit structure. In addition, Petrolimex Board of Management is masterminding an overall development strategy for the Group in the new era, the era of digitalisation, automation and the rapid development of science and technology. The strategy will be developed on the basis of consultation from top consulting firms in the world. Furthermore, the divestment plan and reduced State ownership at Petrolimex from 75.87 per cent to 51.01 per cent will create major changes in corporate governance structure and attract more foreign investors, generating resources for Petrolimex to invest into and develop large potential projects with high profitability to increase profits and bring benefits to shareholders. 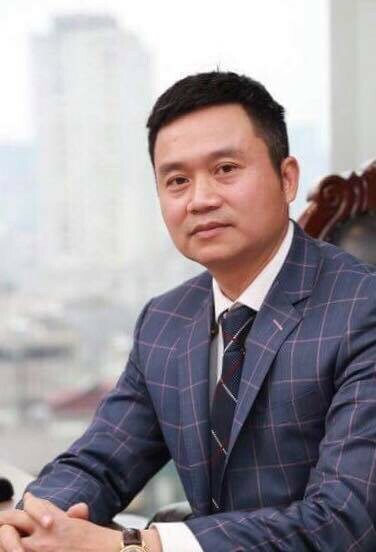 "We set a target to become an energy group with market cap of tens of billions of US dollar in the next 10 years"
Petrolimex chairman Pham Van Thanh: "In the next 10 years, we set a target to become an energy group with market cap of tens of billions of US dollar"
In your opinion, what are motivations for such reforms in the next development stage of Petrolimex? - That is the change to adapt to the new era, the strategic vision of Petrolimex’s leadership with a desire to make Petrolimex soon become a large-scale, high-performing energy group providing clean, renewable and environmentally friendly energy products for society. Regarding the ideology of management, the Board of Management will continue to pursue modern governance throughout the next period, based on transparent and professional corporate governance under international standards; and apply science and technology, automation in production and business activities and customer services to ensure that we can make full use of achievements of the Industry 4.0. In your vision, with all efforts to innovate and develop comprehensively in the new period, how will Petrolimex in the future be different from Petrolimex at the present, though it is already considered a successfully-transformed State-owned economic group? - As far as I’m concerned, the first change of Petrolimex in the new period will be its size. As you know, Petrolimex is currently a big economic group with the largest turnover in the stock exchange (more than US$8 billion), and market cap among the TOP 10, but the current charter capital of some VND12 trillion (about $500 million) is not commensurate with the position and development potential of a leading economic group in the context of international integration, especially in the field of energy. Therefore, in order to exploit the existing potentials of Petrolimex and expand investment cooperation in new business areas, in the orientation of building Petrolimex’s development strategy in the next 10 years, we aim to become an energy group with charter capital of billions of US dollar (which means the charter capital is expected to double or triple) and market cap up to tens of billions of US dollar to deploy potential strategic projects that have decisive impacts on the Group’s development in the future and the Group’s competitiveness with foreign partners when fully integrated in the energy sector. The next change I think will be changes related to product structure and business practices. In the 4.0 era, new consumption practices (based on mobile networks and data) are increasing, forcing businesses to change the way they design, market and supply existing and future products and services. This makes big businesses, which are holding the dominant market share and leading the market like Petrolimex, to reconsider the current business method and turn to the new model which may include the trading of adjacent segments and products such as clean, renewable and new energy products, rather than petroleum products, if they want to maintain their position. In addition, along with the above changes, there will be changes related to corporate governance, modern management ideas updated with the rapid development of the era need to be applied and always form part of the awareness of the Group leadership to be compatible with changes in the organisational structure and new business method patents. Another crucial change that cannot be ignored, that is the change in people and corporate culture as without such change, Petrolimex’s apparatus will not be able to operate smoothly. In the coming time, Petrolimex will focus its investment in people to ensure resources for development in the new period. New operating models also mean that talent and culture need to be reconsidered under the context of new requirements for skills and needs to attract and maintain appropriate human resources. New strategies for attracting and retaining talents, and new ways to recruit, evaluate and reward people based on work performance will all be key to the success and sustainable development of Petrolimex in the future. Along with that, it will be a harmonious combination with creative thinking, and renewed culture to integrate in the Industry 4.0, besides the maintenance and preservation of corporate culture that has existed in Petrolimex for the past 63 years. 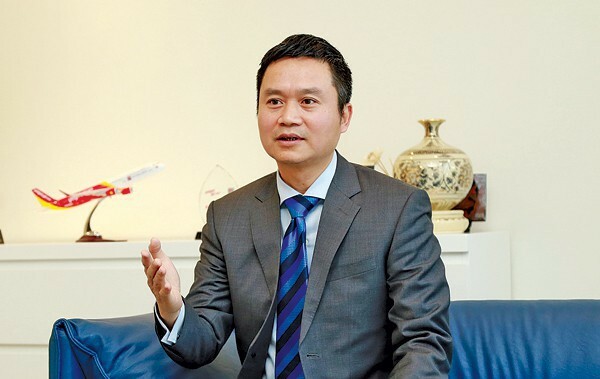 Pham Van Thanh: "At present, Petrolimex is a pioneering and unique petroleum enterprise providing clean and environmentally friendly energy"
In the development strategy of Petrolimex for the next period; one of the main orientations is sustainable development: achieving high business efficiency but still ensuring environment is clean and green. Which are specific solutions for investment in technology, people, and exhaust and waste treatment systems, etc. that Petrolimex will take to reach such targets? - Sustainable development associated with environmental protection in order to bring about a green environment for the community and make a considerable contribution to ensuring social security and national security is one of the top key tasks that Petrolimex leadership always keep in mind. Petrolimex was the only enterprise representing the industry and trade sector to receive the Vietnam Environment Award 2017. Regarding products, at present, Petrolimex is a pioneering and unique supplier of clean and environmentally friendly fuel sources with highest standards in Vietnam market, such as Euro 5 diesel, and Euro 4 Ron 95 petrol. In the immediate period, the Group is working to seek cooperation in supplying Liquefied Natural Gas (LNG). This is an important kind of fuel largely used in developed countries due to its characteristics of limiting fire and reducing environmental pollution. In addition, we look forward to supplying consumers with higher quality gasoline and oil products with Euro 5, Euro 6 standards and beyond that, renewable energy products. For the research and application of technology solutions, and investment in technical facilities to ensure environmental safety, Petrolimex has so far been the first and only Vietnamese enterprise that synchronously implements and applies them throughout the whole system. Over the past years, Petrolimex has seriously and thoroughly implemented the investment and installation of the vapour recovery units, water waste treatment; and upgrade of material facilities and fire prevention and fighting technology and devices. In Petrolimex, we have a contingent of managers and technicians in charge of environmental protection that received professional training from the Group to member companies’ levels. This is the very difference between Petrolimex and other petroleum trading enterprises in the market because investment in environmental protection is quite expensive and directly affects enterprise profit, whilst there is no compulsory regulation from the State.